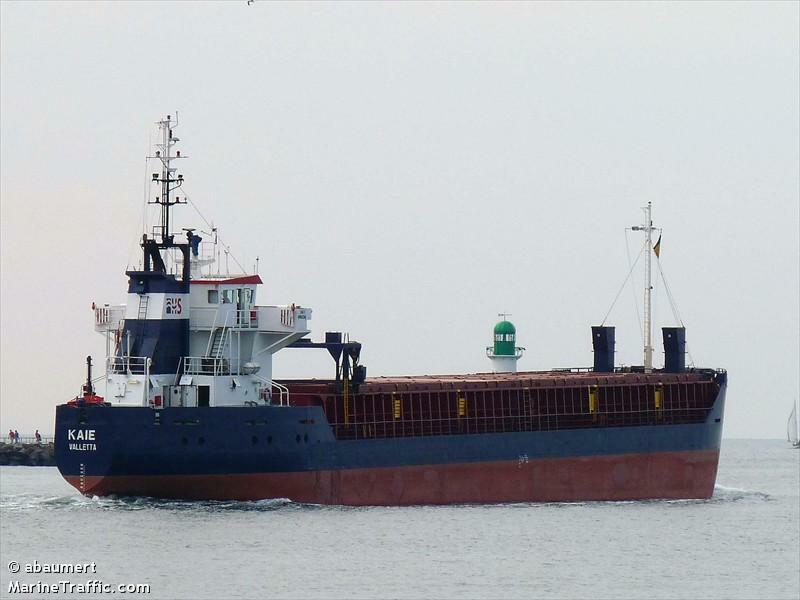 The 89 meter long, 4161 dwt freighter Kaie collided with the 114 meter long, 4300 dwt Alteland at an anchorage near Brunsbüttel, Germany. The Kaie was attempting to anchor when the incoming tide pushed it into the stern of the Alteland. 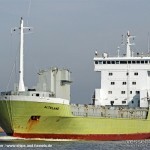 The Alteland suffered a hole in the hull above the waterline. The Kaie’s propeller was fouled in the Alteland’s anchor chain. The crews were unable to free the anchor chain and it cut free from the Alteland. The Alteland proceeded to Brunsbüttel where it was inspected. 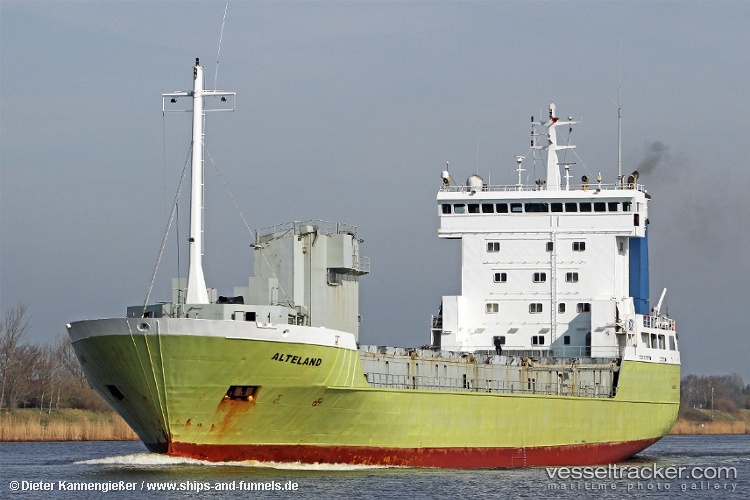 After the inspection, the Alteland proceeded to Kiel for repairs and to pick up a replacement anchor. The Kaie remains at anchorage until divers are able to remove the anchor chain at the next low tide. No reports of injuries or pollution being released. 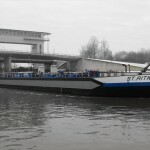 The 105 meter long self-propelled barge Rudolf-Thea suffered water ingress while sailing in heavy seas on the Ijssel Sea. 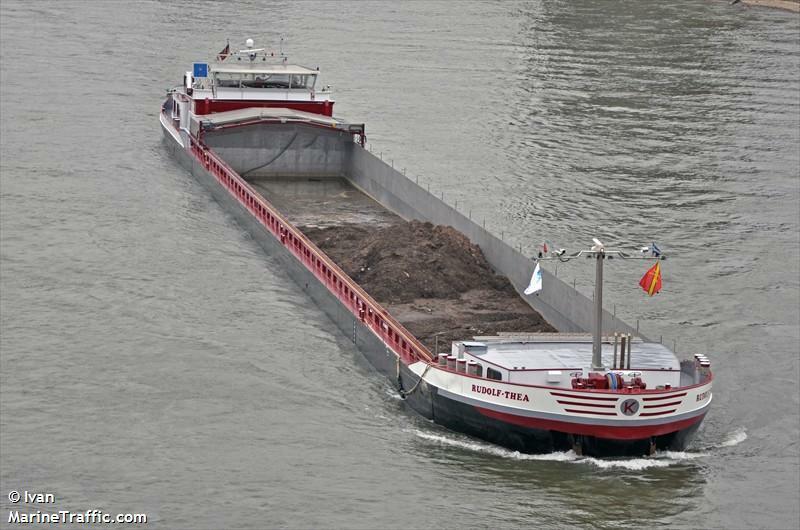 The barge loaded with a cargo of gypsum requested assistance from the coast guard at Den Helder. They dispatched a KNRM rescue boat and tug from Urk, Netherlands. 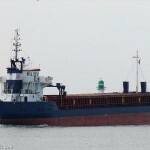 The vessels escorted the Rudolf-Thea to Lelystad, Netherlands. No reports of injuries or pollution being released. 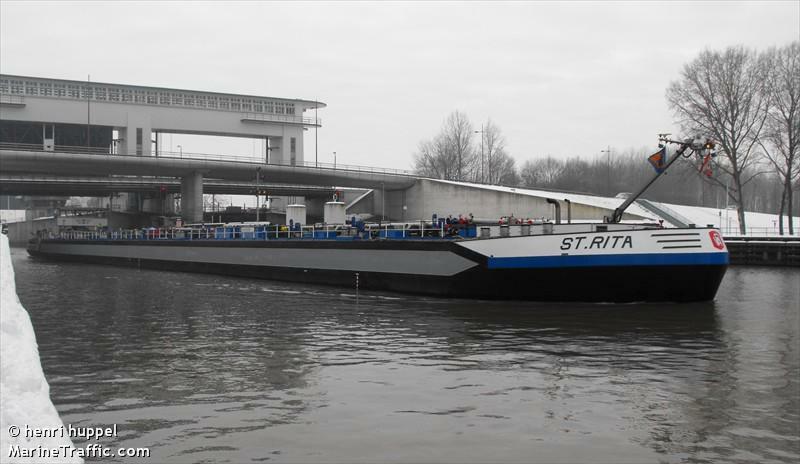 The 110 meter long tanker St. Rita allided with the Östricher Bridge on the Weser–Datteln Canal at Dorsten, Germany. 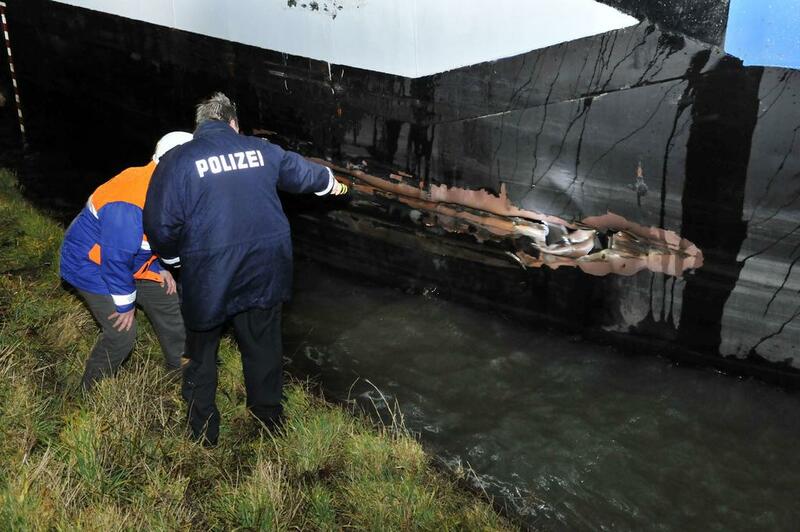 The tanker lost control in bad weather and struck a bulkhead. 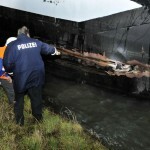 The St. Rita hull suffered a five meter tear along its hull allowing the cargo of diesel fuel to spill out. The tanker was moored along the shore and local fire fighters were contacted. However, the conditions prevented the remaining fuel to be removed off the St. Rita. The St. Rita was moved later to Hünxe where it could make repairs. No reports of injuries. No details were reported to the amount of diesel fuel released or pollution recovery plans.